Brooklyn is a backless beauty and extremely lightweight. The dress is made with a champagne satin underlay and ivory lace overlay. The measurements are approx: Bust: 88cm Waist: 70cm Hips: 96cm Hallow to Hem: 150cm. The dress is brand new and has never been worn or altered. To purchase this dress in any other size or colour, waiting times may apply. 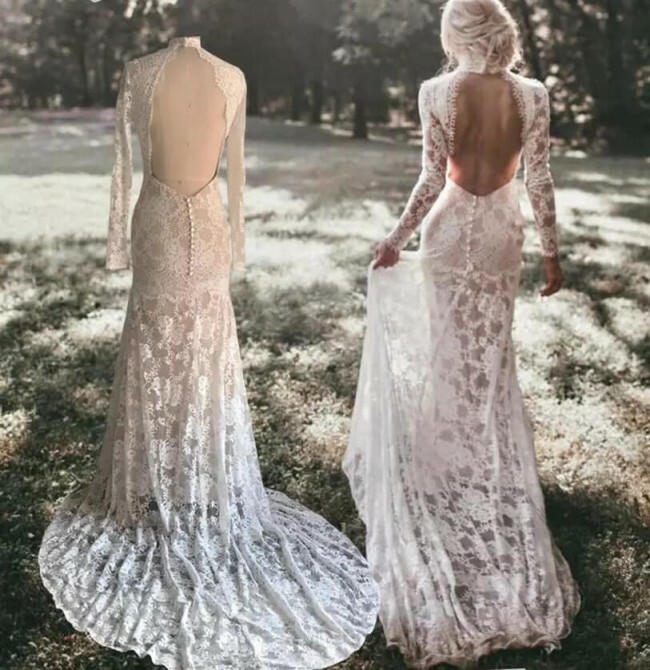 Unique Bridal Collection has been started with the idea to help brides save thousands of Dollars on their wedding dresses. All the dresses in our collection is currently selling for under $1800.00 and are made in sizes AU2 - AU26. Please enquire for availability. Our showroom is based in Castle Hill, 2154 where we offer hourly appointments on Saturdays between 9am - 1pm. Bookings are essential. 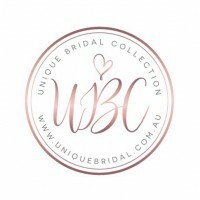 To book an appointment, please have a look at our appointment schedule on our website (www.uniquebridal.com.au) and let us know what time and date you would like to come over for a fitting. We also deliver anywhere in Australia at a flat rate of AU$30.00, which includes signature on delivery and insurance. International shipping to most countries also available at AU$100.00. As an Australian-run business, we have to comply with the Australian Consumer Law and Fair Trading Act 2012. You can therefor shop with peace of mind, knowing that you will get good value for your hard-earned money. Once you send a message, Unique can invite you to purchase the dress.